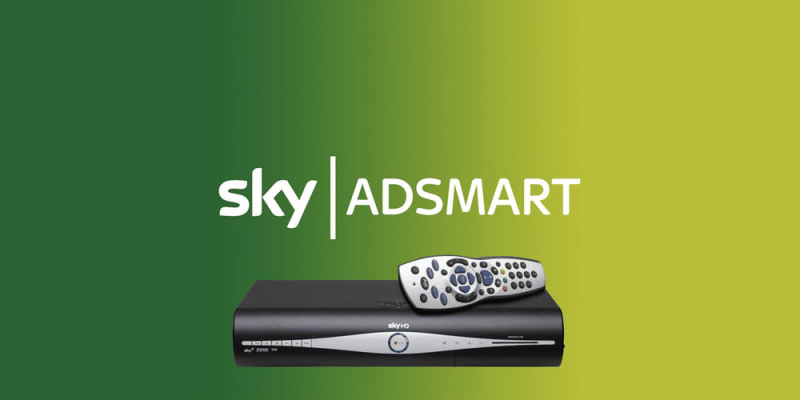 Home > Video Production > TV Advert Production > Is Sky AdSmart the Future of TV Advertising? TV advertising has evolved over the years. One of the recent advancements is the introduction of Sky AdSmart. Another impressive innovation from Sky. Sky AdSmart is an advertiser’s dream come true. It is an internet-style ad TV platform that allows advertisers to target specific audiences using combinations from location, household composition, lifestyle or age. In other words, with Sky AdSmart, viewers watching the same programmes on live TV will see different TV ads at the same time. For example, a car brand paying for a slot during a TV break could serve a sporty model for a young customer, and a minivan or multipurpose vehicle ad to a family with children. Brands are better able to communicate with their specific audience when TV ads are targeted to viewers. This is made possible using combinations of consumer data like post code, stage they are in life, etc, taken from third parties like Experian. Advertisers get to choose from thousands of households attributes. There are numerous ways the attributes can be mixed in order to ensure that only their ideal customers get to see their TV ads. Furthermore, using the information from their consumer data, advertisers have the option of creating custom segments for their viewers. The Sky AdSmart platform has been running for over 5 years. As at May 2017, it had secured 1,130 advertisers and run 7,635 campaigns with a total of 5 million impressions. Sky AdSmart advertisers have a 64% return rate. This means there is hope yet for the future of TV advertising. Some advertisers intend to use Sky AdSmart to extend the reach of their target advertising while others only seek to get direct results. As an advertiser, Sky AdSmart allows your products to only be seen by viewers who will find it beneficial to them. For example, a household with children will see more ads for family cars, theme parks, family vacation spots, animal shelters, etc. It can also be streamlined to show viewers adverts for businesses located in their local areas, like shopping centres, schools, local car dealerships or restaurants. As a viewer, with Sky AdSmart you only see ads that are relevant to you. This means that viewers can see products they never knew about, and advertisers can get more visibility, a wider reach, more impressions and more sales. One of the best things about the Sky AdSmart platform is that it is available for all classes of advertisers. Large companies that don’t have a limit on expenses, as well as local businesses on a budget can equally benefit from using the platform. The lowest plan will get an advert showing on over 200 Sky Channels. Ads play only when their target audience is watching. This way both first time advertisers and brands accustomed to TV advertising can benefit equally from using the AdSmart platform. AdSmart is accessible, adaptable and smart with customers’ budgets. It functions on a pay-per-watch policy. Advertisers are charged only if 75% or more of their ad is watched at normal speed. That means if an ad is skipped, fast-forwarded, or the channel is changed entirely, the advertiser will not be charged for the ad. Sky AdSmart is making it possible for thousands of advertisers to refine their audience targeting and reach the right people. It has seen a reduction in channel hopping and viewers are more engaged and willing to see an ad or programme to the end. It doesn’t matter whether the viewer is watching live TV or a recorded programme. AdSmart has dual functionality. However, it will only work if the viewer is watching at a normal speed. It is target specific, and is projected to become more refined in the future. Several other companies have keyed into the AdSmart idea. Gracenote, a US company has unveiled their wider reaching Ad Replacement technology. It is about time the benefits of TV advertising become mutual for the brands as well as the viewers. Sky’s launch of AdSmart is indeed a giant leap forward in the advancement of TV advertising. When it comes to providing a highly targeted advertising solution, Sky AdSmart is the answer. Video ProductionTV Advert ProductionIs Sky AdSmart the Future of TV Advertising?